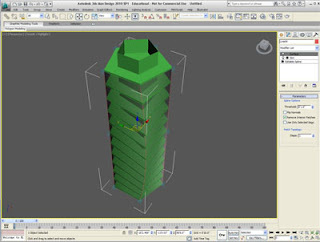 Parametric tower tutorial expands on the parametric methodologies of the bridge tutorial. New modifiers covered: skin, skin IK control, and surface. Explores the ability to use a series of control lines to manipulate referenced geometry.